Service members are at risk for death or injury. They may see others hurt or killed. They may have to kill or wound others. They are on alert around the clock. These and other factors can increase chances of having PTSD or other mental health issues. When trauma is happening, it often creates feelings of intense fear, helplessness, or horror for those who experience them. In the days and weeks that follow, they often create longer-lasting stress reactions that can be surprising, distressing, and difficult to understand. By understanding traumatic stress re-actions better, War Veterans can become less fearful of them and better able to cope with them. The following lists provide warning signs and symptoms of PTSD. Many resources are available to veterans. 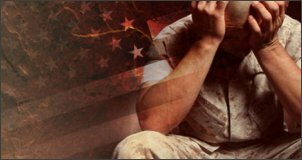 Contact us for more information on dealing with PTSD.